Michelle Durpetti's Kenya won the Reserve Circuit Championship in the Performance Hunters 3'3" in Ocala with Caitlyn Shiels aboard in 2014. 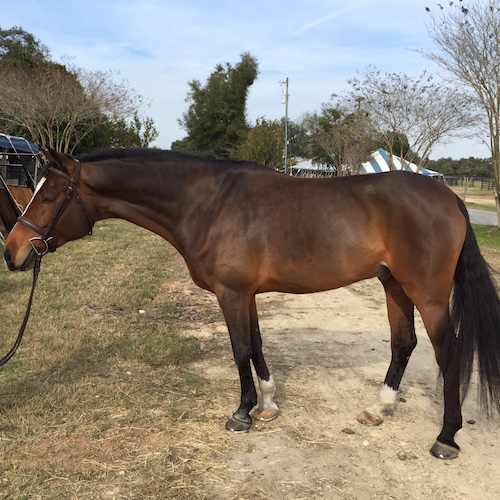 Ocala, FL - January 16, 2015- Canterbury Farm of Hampshire, IL, offers quality sale horses, which can be seen at the Ocala Hits Horse Show Series now through March 22nd. 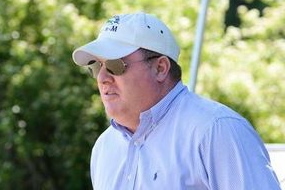 Trainer Greg Franklin, not only brings clients to show in the sunshine state, escaping the harsh Chicago winter, but also has several quality horses for sale sure to suit your needs. 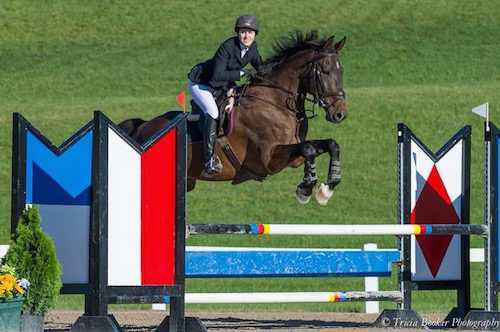 Kadence Darko and Shiels in the Baby Green Division in 2014. Photo by ESI. Some of the horses available include Kadence Darco, a five-year-old Belgian Warmblood mare by Darco. 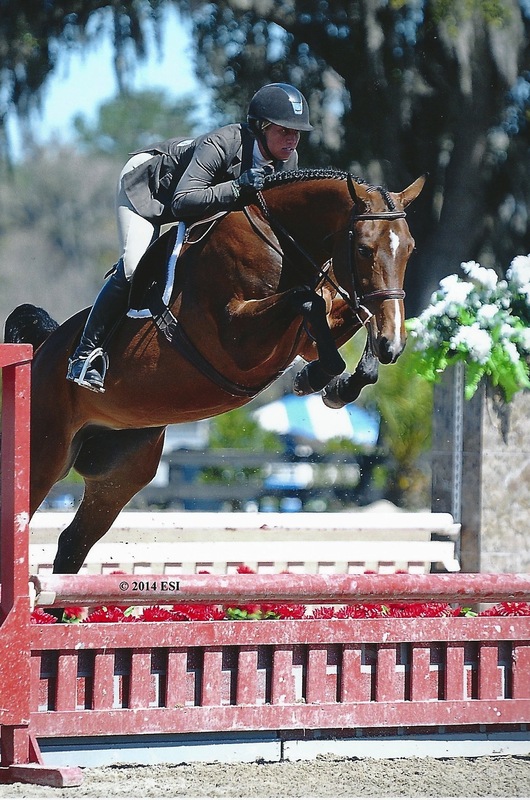 She is a lovely mover and an excellent jumper, ready for the Pre-Green Hunter division in 2015. Big Bill - photo by Tricia Booker. Big Bill is a 15-year-old Canadian warmblood and at 17 hands, is a tall, reliable teacher who could make a great first jumper for any novice rider. MTM UP2U is a nine-year-old Wamblood gelding. He is a beautiful mover and a good jumper with a huge stride, and a great rhythm. He is a delightful three-foot hunter, who is uncomplicated, quiet and easy to find the jumps on. 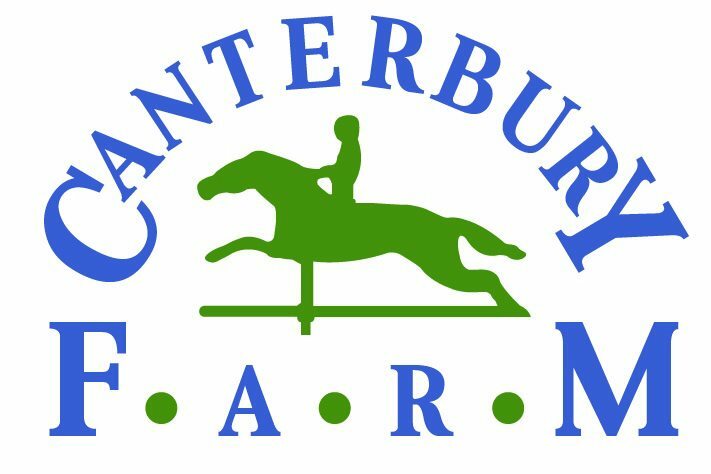 Canterbury Farm can help you find what you need with their connections to other great horses from top stables. There’s no better place to try out horses than at the horse show in the sun! Franklin will also be busy with clients showing in divisions from the jumpers to the short stirrup. Assistant trainer, Caitlyn Shiels, will show all of the horses, including her young jumper, Cavalier II along with Dare to Dance, another young jumper, owned by Janet Walker. Michelle Durpetti, of Chicago, will show Small Enchantment, Kenya, and Moody Blues in the amateur owner hunters. Katherine Heywood will show her jumpers Balida and Big Bill in the adult jumpers. Natalie Alden and MTM UP2U will show in the children’s hunters along with teammate Madeline Pogorzelski and Marcia Franklin’s Cydelle. Molly Zygmont, Franklin’s niece, will make their debut in the short stirrup division aboard her pony, Pumpkin Pie. 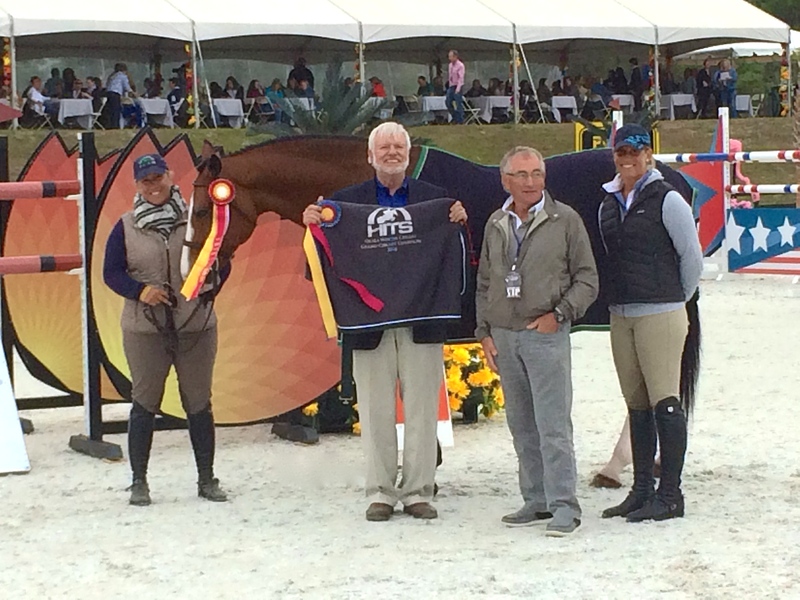 Canterbury Farm has continued partnerships with Tucci, Samshield, Butet and O’Shaughnessy Apparel for 2015. In addition, Canterbury will now feature Equifit Products and look forward to a successful partnership with this quality brand. Canterbury Farm is also pleased to partner with Blueberry Hill and Ardie Hastey for all of their tack needs during circuit. Blueberry Hill carries all of their favorite sponsor brands including Butet, Samshield, and Tucci.